About five or six years ago classical education meant as much to me as it probably means to many of you reading this, which isn’t much. Around that time my son started attending a Christian classical school as a fifth grader, and my daughter was attending Hillsdale College. My paradigm about the nature of education was to change dramatically. My wife was determined that our son would not continue into middle school in the public education system. She works within that system, and didn’t liked what she’d seen and experienced for several years. My attitude back then was that we and our first two children survived public schools, so could our youngest. But although one can survive a public education, it is pretty much impossible to thrive in it. After over four years of exposure to classical education, I have seen what it can do for children, and thus my hope for America’s future. 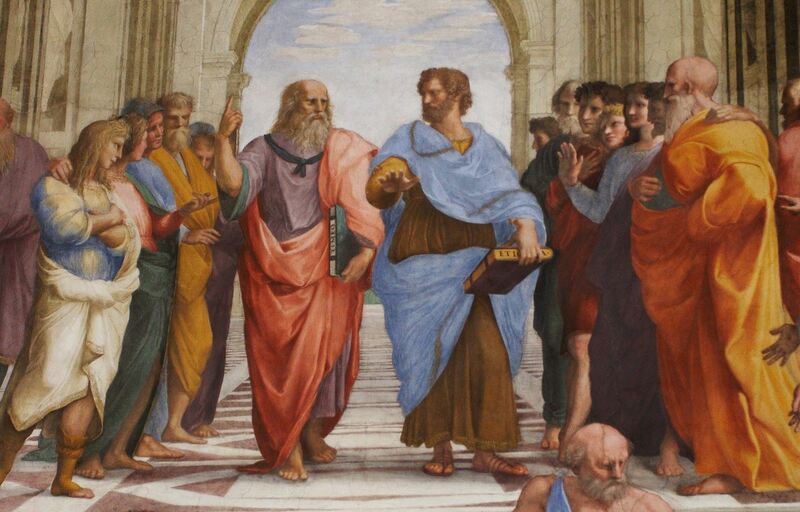 What exactly is classical education? Up until the early 20th Century, all education in America was classical education. Thanks to John Dewey (1859-1952), American education quickly, like the rest of Western civilization, embraced what promised progress, and who could object to that. The problem with progressivism of every kind is not the concept of progress itself, but that it rejects the past. People who lived in the past, and thus their ideas, are inherently inferior because they lived a benighted existence before the light of science shone upon the human race to rescue us from religion and tradition. Progressive education a la Dewey, is primarily practical and utilitarian. It eschews the traditional, including the primacy of the family and religion. Classical education, by contrast, grounds children in the great ideas of Western civilization of the last several thousand years. It teaches them to not only know these things, but to think through them, engage them, and communicate them clearly. It also seeks to educate both intellectual and moral aspects of children, with the ultimate aim of creating citizens of proper and virtuous self-governance. We’ll need many more of those if the American experiment is to survive. You’ll often read and hear in classical education circles the phrase, “the good, the true and the beautiful.” What makes this so powerful is that it assumes that these concepts objectively exist in reality. They are not merely culturally or psychologically determined, and nothing could be more counter cultural in our relativistic postmodern age. Fortunately for the republic, classical education is making inroads into public education via charter schools. My daughter currently teaches at such a school, Classical Preparatory School near Tampa, FL, and will become Dean of Curriculum Philosophy for the next school year. The school put together this video for a recent gala, and they did a tremendous job explaining, as the tag line says, “Classical Education: It’s like nothing else out there.” It most definitely is worth 10 or so minutes of your time.